A Southern Way of Life . . . Do it Yourself tips, crafts and tutorials.We'll show you new uses for old items, how to make décor with an elegant, but rustic flair and how to give a Farmhouse look to your New home. You'll love our wedding, party and event ideas from flowers to food. Our goal - To save you time and money while having fun along the way. Here's a little something that might come in handy this holiday weekend. Instead of spraying your family down with the harmful chemical Deet, use Listerine. Pour the mouthwash in a spray bottle and spray the kiddies with it. 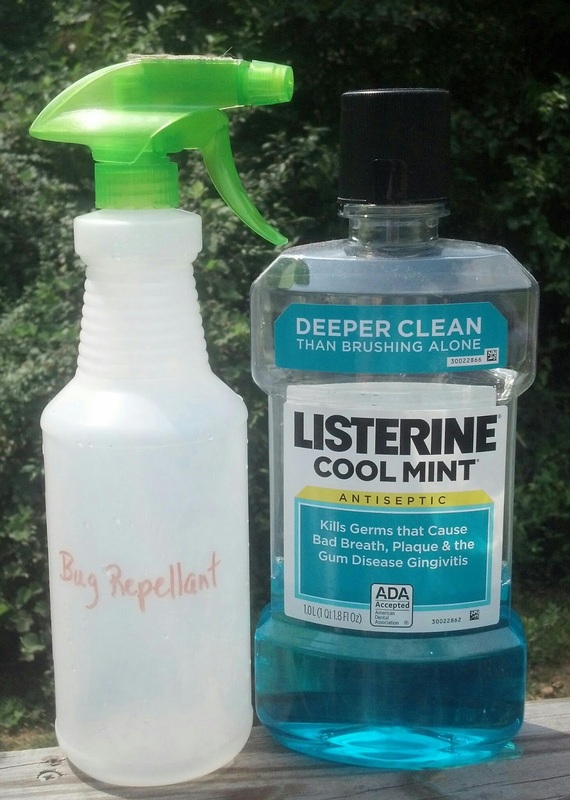 You may want to use a nice, fresh scent like mint instead of the original Listerine. Also, do not use the whitening mouthwash; you risk staining or bleaching your clothes. This will have to be reapplied more often than commercial bug repellants, but its safer for the family. Thanks....will try it..also use mint mouthwash for deskunking the dog....and then he smell like mint! I use Listerine on my dogs for fluids, all the money I've spent, nothing works better.my dogs love it and stand still for me to spray just a little !! Amazing!!! Can you use the generic brands? I've never tried, but I don't see why not. I would use the original (gold colored) flavor though. I seem to get the best results from it.